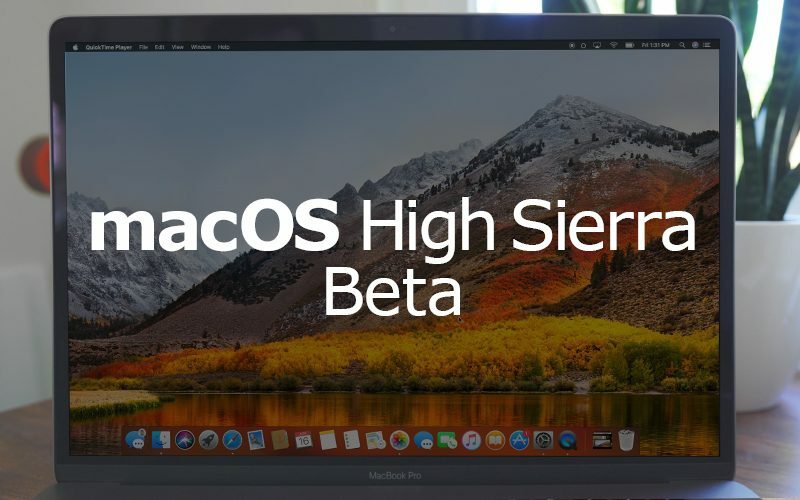 Apple today seeded the first public beta of macOS High Sierra to public beta testers, allowing non-developers to download and test the update for the first time since it was introduced at the Worldwide Developers Conference on June 5. The first public beta of macOS High Sierra corresponds to the second developer beta, which was updated this morning. Beta testers who have signed up for Apple's beta testing program will be able to download the macOS High Sierra beta through the Software Update mechanism in the Mac App Store. Potential beta testers should make a full Time Machine backup before installing macOS High Sierra, and it should not be installed on a primary machine because betas are unstable and often have many bugs. Caution should be used with macOS High Sierra in particular because when installing it, there's an option to switch to the new Apple Filesystem (APFS), an update that takes some time. macOS High Sierra is designed to improve and refine macOS Sierra. Along with a new, more efficient file system designed for modern storage, the update introduces Metal 2, the next-generation version of Apple's Metal graphics API with support for machine learning, external GPUs, and VR content creation. High Efficiency Video Encoding (HEVC aka H.265) is coming in macOS High Sierra, and many of the existing apps are being updated. Photos features a new persistent side view and editing tools for Curves, Selective Color, and Live Photos, while Siri is gaining a more natural voice and support for more music-related commands. For a complete picture of all of the new features you can expect to see when macOS High Sierra is released in the fall, make sure to check out our full macOS High Sierra roundup. boot your computer while holding down both the command key and the r key. Downloading now. Also I live in California, so should I be high when I install High Sierra? I'd recommend you download it, drive to the High Sierra mountain, climb it, then install High Sierra on top of High Sierra. I just hope when you're climbing you don't hit too many bugs and fall off! After working in Silicon Valley for almost 40 years, with just about all the major players there (directly and indirectly) I can tell you that they really don't have secret meeting to enforce "planed obsolescence" to make money. Its the nature of technology to need to grow it, improve it and expand its capabilities. In all the meetings I attended, from the hardware/ software design engineers, marketing gurus legal department all the way up tp the CEOs, no one ever thinks of planned obsolescence as a strategy. They do talk about focusing on specific areas they believe that consumers will want in the future. Its that constant consumer demand that causes the changes to happen. Think about it, do you still want to use a computer with an 8086 processor? or floppies? or a huge CRT that can only display 13" of viewable area? or 20MB hard disk drives that spin as fast as my washing machine? I don't and there are millions of consumers that spend billions each year to upgrade to newer, better, faster features. Its all about voting with your wallet and consumers have voted for ongoing process. agreed, but no reason to not help out since the damage is done. Never hurts to be fully baked. Love these one line comments with no info about the system updated, any pre-existing software issues, older hardware, data corruption, no info if the new AFS was used, etc. Its akin to saying a certain brand of car always fails. You may have had data corruption issues before the update as well - but have provided no proof of anything beyond this comment. Will stay away until the stable release. As much as I love playing around with a new OS, I can wait a couple of months. good thing you told us! I got so excited I almost wet myself!